Plans for Winter 2013 are now in place and flights are booked! Best of India Tour in 2013 Destination Covered: Delhi - Agra – Ranthambhore - Jaipur –Mumbai – Cochin – Munnar – Alleppey – Kovalam – Trivandrum. Scheduled arrive at Delhi International Airport; meet our representative in the Arrival Halls who will be standing there displaying your name. After meeting he will assist you to transfer to Hotel. Overnight stay at your hotel. 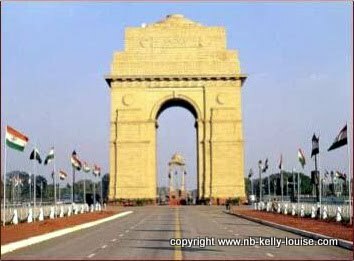 Delhi City tour After breakfast at hotel proceed for sightseeing tour of historic city visiting Old Delhi & New Delhi visiting the majestic Red Fort, a marvel in red sandstone, built by Shah Jahan in 1648, Jama Masjid, the largest mosque in India, both built by emperor Shah Jahan of Taj Mahal fame. Rajghat memorial place of Mahatma Gandhi, Chandani Chowk, and famous market since Mughal Period rickshaw ride past through the silver street. Rashtrapati Bhawan, one-time imperial residence of the British viceroys; the India Gate, a memorial raised in honour of the Indian soldiers martyred during the Afghan war, Laxmi Narayan Temple built by the Birlas, one of India’s leading industrial families, Humayun’s Tomb, regarded as a prototype of the famed Taj Mahal, it is built by emperor Humanyun's wife, which took eight years to complete. Overnight stay at Hotel. Agra / Ranthambhore (290Kms, 6.5Hrs drive) This morning leave for Ranthambore, a distance of 290 kilometers in about 6.5 hours. Enroute visit the UNESCO world heritage site – Fatehpur Sikri. This deserted red sandstone city was built by the Great Mughal Emperor Akbar as his capital and palace in the late 16th century. Popular highlights of this region are Buland Darwaza, Jama Masjid, Tomb of Salim Chishti, Diwan-i-Am, Panch Mahal etc. Afternoon arrive in Ranthambore & check-in Hotel. Ranthambore National Park is one of the finest tiger reserves in India, the sanctuary area includes an abandoned fortress and lakes. 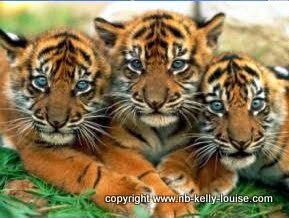 There are about 37 tigers in the sanctuary but they are often hidden from view in the brush. Ranthambore was declared a wildlife sanctuary in 1955 and became part of Project Tiger in 1973. The forest guides get regular information on the areas where the tigers are sighted and if we are lucky we may see the beautiful animal in its natural habitat. There are many other animals and birds in the sanctuary. Rest of the day free at leisure. Overnight stay at Hotel. Ranthambhore – (02 Canter Safari in The Park) Early morning game drive by Canter Safari for wild life viewing. Arrive back to the resort for breakfast. Rest of the day at leisure. Later on enjoy afternoon game drive by Canter inside the Ranthambore National Park. Back to Hotel. Overnight stay at Hotel. Ranthambhore/Jaipur (by road approx 180 Kms & 4Hrs) / Mumbai (By Flight SG 341 1500Hrs/1645Hrs). Early morning drive to Jaipur to board the flight for Mumbai. On arrival scheduled transfer to airport to board the flight for Mumbai. On arrival transfer to hotel. Overnight stay at hotel with own Arrangement) Vivanta by Taj President, Mumbai. Cochin – Munnar (135Kms, 3hrs.drive) This morning drive to Munnar – the only hilly destination of Kerala state. Enroute visit Kodnad for viewing the Elephant Bathing. Afternoon arrive Munnar and check in hotel. Rest of time free at relax. Overnight stay at hotel. Munnar After breakfast at hotel you will start the full day sightseeing tour of Munnar. Walk through the green carpet of well organized tea bushes, watch the beautiful mist and romantic green meadows, romantic view of the waterfall. Dam, Echo Point, Kundale Lake, Blossom Garden, Rajamalai, Tea Plantation and Eravikulam Wildlife Sanctuary. Overnight stay will be at the hotel. Munnar – Alleppey (145Kms, 4Hrs drive) Breakfast at Hotel and drive for Alleppey (135Kms) – is a beautiful tourist village famous for backwater. It is the largest backwater in Kerala and is habitat for many marine and fresh water fish and other species. It is the cluster of little islands on the Vembanad Lake which is also home of a wide variety of Flora and fauna. Arrive and check into Houseboat. After fresh up explore the enchanting backwater view aligned the palm trees. 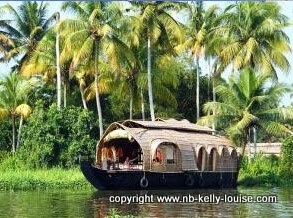 Enjoy the backwater cruise in the backwater. Overnight at Houseboat. 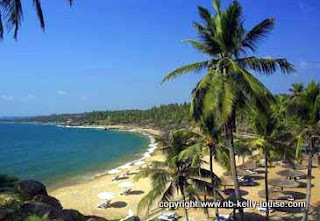 Kovalam – Trivandrum Airport Departure Take your breakfast at hotel and day free at leisure or own activities. Late night scheduled transfer to airport to board the flight for your home town. 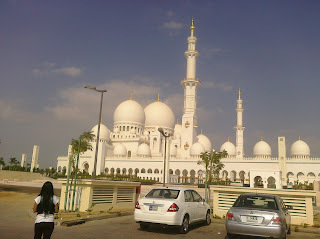 Abu Dhabi Arrive at Abu Dhabi at 0710hrs Tuesday to stay with relatives and tour resorts both there and Oman. Return to Manchester International airport at 1505 on the following Sunday. 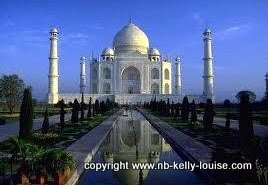 The above is a self prepared itinerary using a known and trusted Indian agent, with international flights booked independently with Etihad Airways. We don't like package holidays! 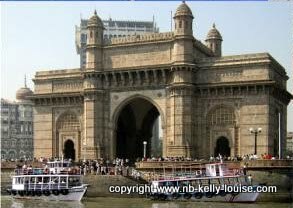 For those who might be interested in doing something like this, the tour, without the hotels mentioned that we booked ourselves, and the international flights, comes in at $700 US (about £500), each for 18 days in India, and includes car and chauffeur throughout, all internal flights and some hotels. All other independently booked hotels are with the Vivanta by Taj group, links to two of them and the Taj group website are above. 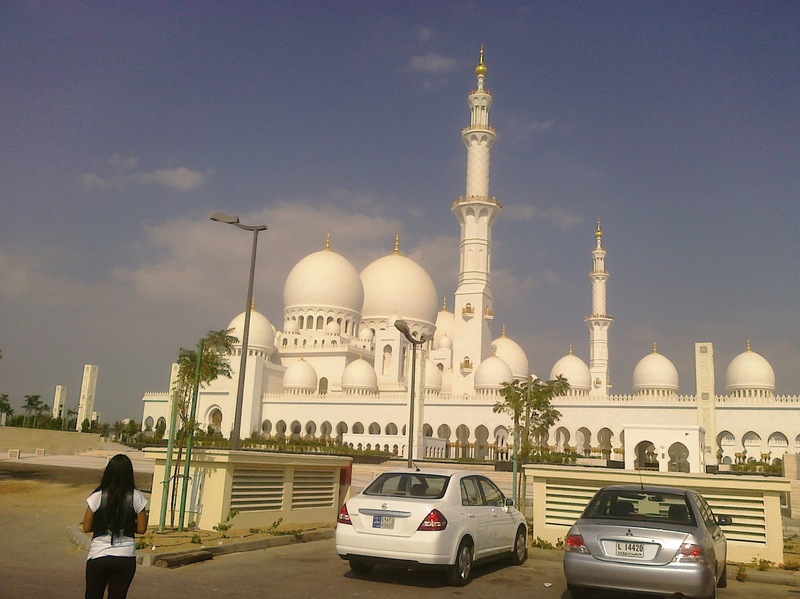 The Etihad scheduled flights from Manchester-Delhi, Trivandrum-Abu Dhabi, and then Abu Dhabi-Manchester after a 5 day stopover came in at a total of £600 per person on their Coral economy class. An Indian multi-entry visa is required, and is not the easiest process to go through. This costs around £40 each. UK citizens don't require a specific visa for Abu Dhabi or any other Emirate, such as Dubai, as a 30 day visitor visa is granted on arrival. This can subsequently be extended by a further 30 days if required once there. This is a first in 32 years of boating together! This is Margaret's comfort zone. Note the boat's heading to compensate for the strong bye-wash.
We had another great time this weekend entertaining friends of my brother at the boat. We did our usual visitors trip to Wrenbury, which included an overnight stay for us, just the other side of the electric lift bridge, right outside the Dusty Miller where we had a table for eight booked for the evening. Our guests arrived around lunchtime on Thursday where we provided a buffet lunch at the mooring, before I took the two car drivers down to the Dusty's car park so they could all leave for home from there later. Arriving at Wrenbury at about 4.00pm, we all sat enjoying a drink on the Dusty's new balcony before dinner at 6.30. Although looking at his tiller, evasive action may have been taken! As usual we stayed overnight, and as can be seen above, a world first took place on the way back. In all our years of canal and river boating together, Margaret has always refused point blank to take the helm. She not only prefers the social aspects of lock operation, but has always said she couldn't stand the potential 'ear ache' off me if anything happened to the boat while she was in control, (or not, as the case may be)! The above smile is totally false, as I had left the tiller to her with no option to refuse, while I took the photo. When I'd done she appeared happy enough to stay there, and even managed to remain at her station even when another boat approached in the opposite direction. However, this news worthy event only lasted a couple of minutes before control was handed back to me. We see couples sharing all tasks all the time, but it looks as though I will remain at the helm while she continues with the locks. This is how KL looked after I had spent the previous week cleaning and polishing for the arrival of her visitors. All that work won't go amiss, and she is now prepared for the onset of Autumn and then the Winter. All very similar images from the trip to Maesbury Marsh on the Montgomery Canal via the Llangollen Canal in July 2012. They might hold little interest now, but in 100 years time........who knows.